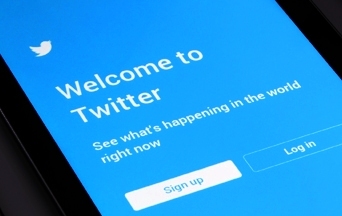 The American TFP > Catholic Perspective > Can Twitter Be an Occasion of Sin? Everyone talks about the addictive aspect of Twitter but not its moral effects. Can Twitter lead to sin? Bishop Thomas Tobin of Providence, R.I. evidently thinks so. In a final tweet, he wrote that the social media platform had become a “distraction” to him, an “obstacle” to his spiritual life and an “occasion of sin.” The message went viral and sparked both praise and ridicule. Talk of sin is rare today. But even rarer is the expression “occasion of sin.” Many churchgoers do not even know what the term means. They do not realize that Catholics should have such a horror of sin that even those occasions that tempt or incite to sin are to be avoided. By putting oneself too close to the fire, one can easily fall into it. These “near” occasions can be sinful themselves. Occasions of sin involve external things or persons, which, because of their special nature or because of a human or individual frailty, can incite or entice someone to sin—and sin gravely. These occasions are not the cause of sin since that is found in the perverse action of the human will. These are external occasions that can vary from person to person but which experience has shown leads to the downfall of the individual. Thus, a man might avoid a certain place because it recalls to him certain sinful memories. Another person might avoid a certain drink because experience has shown it might lead to excess. Generally, the same obligation that binds one to refrain from sin also requires a person to avoid its occasion. As Bishop Tobin saw, Twitter provides plenty of occasions of sins. It can be a slippery slope leading to all sorts of sins and vices. The first, most obvious occasion of sin on Twitter involves immoral or pornographic postings. Social media can be moral sewers since many users show no restraint in their postings. If you’re following someone who posts such content, you should unfollow or mute them. That’s simple enough. Yet even taking these measures cannot guarantee that pornographic images will not filter into your Twitter feed. The platform can easily become an occasion of sin, a platform of perdition and an obstacle to one’s spiritual life. If this happens, you should follow the bishop’s good example and leave. A second way Twitter can become an occasion of sin is when it leads people reflexively to write offensive and uncharitable messages. The shortness of the tweets does not allow for nuance. They are easily misunderstood. There are even those who derive some pleasure by using the platform to insult others. People get involved in brutal Twitterfests that attack others and destroy reputations. The speed by which this is done unleashes a thread of destruction that easily gets out of hand. Indeed, some people have lost jobs or reputation by offensive tweets. It can also become the platform for defamation and gossip. In these cases, Twitter can become an occasion of sin for those who cannot control themselves. A good Christian who cannot resist such temptations would do well to leave. However, the most serious occasions of sin on Twitter are not these two most obvious ones. The worst problem is its tendency to consume a person with a frenetic intemperance. Temperance is the virtue whereby we govern our natural appetites and passions in accordance with the norms prescribed by reason and faith. When passion and emotions take over, we’re thrown out of balance and lose control. In this case, it is not the content that destroys individuals. It is the constant need for stimulation. Our desire for a “like” or “follow” on social media can cause a drug-like chemical reaction in the brain that keeps asking for more. Scientists describe it as a dopamine rush. When we give in to this, social media can become obsessive and addictive. People spend huge amounts of time checking their status and posting things that they hope will get reactions. They feel they cannot live without their mobile devices that allow them instant access to their accounts. This behavior can have grave social consequences. It can ruin relationships and work habits. Especially in youth, it can stunt the development of social skills. Competing to present ever more sensational posts can disconnect a user from reality and even lead to depression. Wouldn’t it be wonderful if priests might follow the example of the good bishop of Providence and warn people about the occasions of sin on Twitter? Most people never hear anything about this great danger to their spiritual lives—not even a tweet. This entry was posted in Catholic Perspective, Fighting the Culture War and tagged addictive, moral, occasion of sin, sin, social media, temperance, twitter, vice, YouTube by John Horvat II. Bookmark the permalink.